mental-health | Tania A. Marshall, M.Sc. Is Anorexia the New Female Aspergers? Asperger Syndrome (AS) is thought to be the highest functioning form of Autism Spectrum Condition. 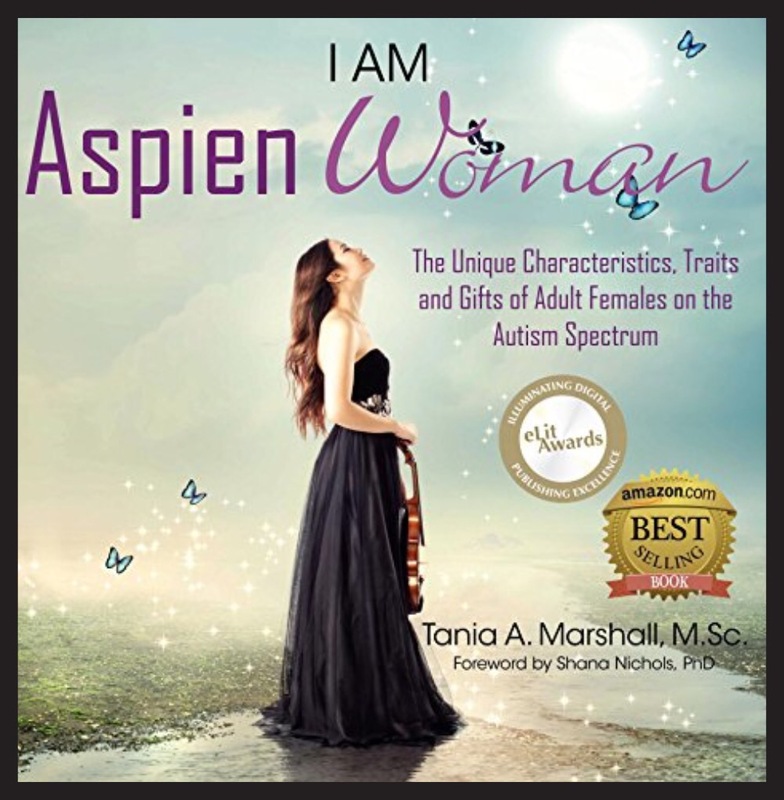 Females on the Autism Spectrum are underdiagnosed and often come into a clinic with other mental health issues, many labels or diagnoses, some of which include: anxiety disorders, ADHD, sleep disorders, panic disorders, obsessive-compulsive disorder, depression, bi-polar disorder, borderline personality disorder, eating disorders or schizophrenia. Females on the Spectrum are generally much more social, really good at “faking” it, understanding non-verbal body language, working very hard to “fit in” and “pretending to be normal”. Women tend to be much more social than men, observe and watch others more in order to learn what to do, learn how to hold their bodies, what to say and when to say it. All of these skills do not come naturally and an enormous amount of energy is put into these skills. Females are generally able to hold it all together during the day and then let it all out at night. At night, the “falling apart” may look like, jumping, screaming, flapping, outbursts or withdrawing into their caves. Women generally tend to have better empathy and theory of mind skills. However, these theory of mind skills become affected by sensory issues, stressful situations, social situations, processing of verbal information, high levels of anxiety, conflict and/or arguments. Of those that come into clinics, anorexia nervosa appears to be the most common eating disorder that females (21.7%) on the Spectrum tend to experience (Nichols). What is the link between eating disorders and Autism Spectrum Conditions (ASC)? There is a overlap, possibly a genetic link between ASC and AN. Where does a percentage of almost 1/3 of the population with AN having ASC come from? 51 women over 18 years were evaluated using formal interviews, developmental histories and 32% of those met criteria for ASC, but only 11% of them knew that they had ASC. Their families had no idea that they had ASC. The highest prevalence of personality disorders (OCD) were also present. In terms of intervention and treatment, a modified treatment schedule is important due to learning difficulties, mental health issues including ASC, a balanced/different course load. What is desperately needed is a routine global screening program for all females who come into a clinic with an eating disorder. It is critical to know if a client has an ASC or has symptoms of an ASC because the symptoms of ASC do not go away post-treatment. The eating disorder may be alleviated, however the symptoms of the ASC have not. This will help the client, their families and their treatment professionals. Gillberg C, Cederlund M, Lamberg K, Zeijlon L: Brief report: “the autism epidemic”. Tania Marshall 2013. All rights reserved. whole or part is explicitly forbidden. Thank you. Females with Asperger Syndrome, Aspiens, tend to live in their heads, caught up with endless analyzing, copious amounts of thoughts, creative processes, ideas and worries. Aspiengirls™ are different in many ways to their peer and also to male Aspies. Females are known for their aspienpower super-abilities to fly under the radar by using advanced chameleon coping strategies of imitation, copying, acting, mimicking and masking. A social meter does exists with Aspiens, in which some Aspiens seek out and want more social interactions than other Aspiens do. Females with Autism Spectrum Condition (ASC) who do want more social interactions have been observed mimicking socially successful and popular people, (usually a peer or a character on television) and copying or mimicking the person’s personality by copying their speech, words, tone of voice, accent, style of language, body language, clothing, hobbies or interests. Aspiens are usually aware from very early on in life that they are different than their peers. To fit in and/or be accepted they may become someone else, a persona who is more likely to be accepted, not be viewed as different, or stand out from the crowd. Aspiens learn very quickly how to act in specific social situations, a strategy so successful that other people, and even at times the Aspien herself, may not be aware that her social intelligence is actually an act or performance. Her performance is facilitated by her above average to genius intelligence, chameleon-like skills and acting abilities. Aspiens have been observed to change their personality’s according to their environment, group or the situation they find themselves in. 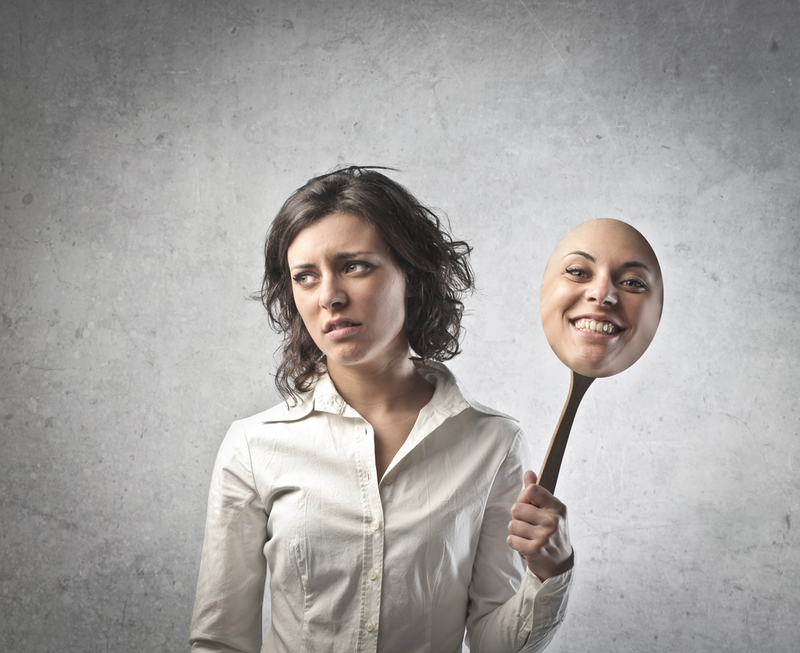 Over the long-term, this coping strategy comes at the cost of her self-identity and self-esteem. The cost is that no-one really knows the Aspien, including herself. 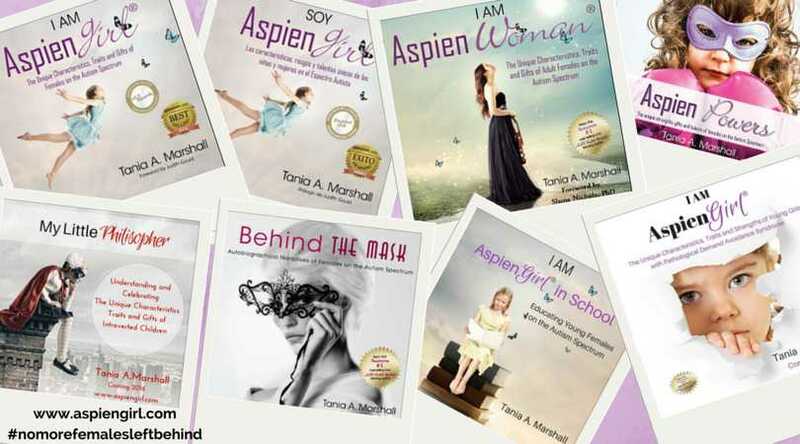 Many an Aspien believes that if others knew who she really was that she would be excluded, bullied, out-cast, or worse, institutionalized. These remarkable coping abilities have additional costs in terms of a “social hangover”, a period of exhaustion from social activities, people or the world. Aspiens typically return home from school or work completely socially exhausted and often meltdown, in front of their family members and/or pets. Only solitude will restore their energy levels and emotional world. Aspiengirls™ who do not seek as much social contact tend be engaged with fantasy and imagination. Aspiens often identify with fictional book or movie characters that are fantasy based (Harry Potter or Hermione Granger are two examples). Aspiens often have imaginary animals or imaginary friends, with whom they talk to, interact with and it is these imaginary relationships that provide support, comfort, and company. Many an Aspien finds it far more i interesting to be in their fantasy world than the dreary and boring existence of day-to-day activities on Planet Earth. Other common worlds that Aspiens find fascinating include other cultures, languages and eras, where they may feel like they may fit in better. Aspiens often develop an interest in science fiction and planets, fantasy worlds of unicorns, fairies, witches, and so on. While, it is common for typical females to sometimes enjoy escaping into imagination, Aspiengirls™ have an intensity in this area. For example, one girl I know of was so upset about a fantasy book series ending at Book 6, that she proceeded to write the next Book 7 installment herself! 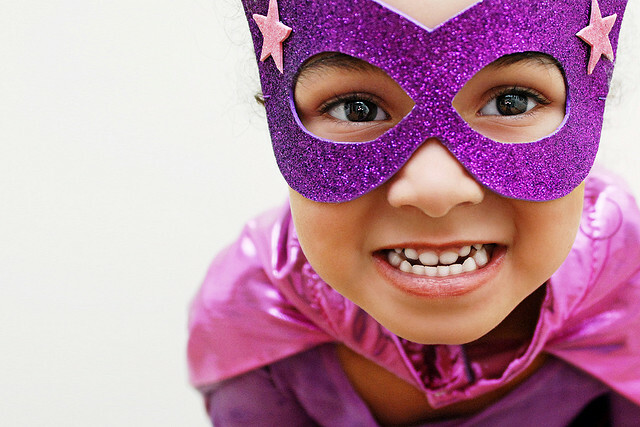 The array of camouflaging and coping strategies often mask the unique traits, gifts, talents and characteristics of Asperger Syndrome for some time over the course of elementary school. This is one major reason why Aspiengirls™ are underdiagnosed, diagnosed much later than males. or misdiagnosed. Aspiengirls™ tend to fly under the radar, often until high school. 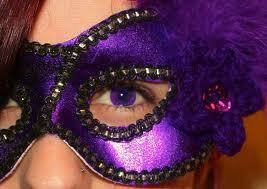 Now, in adolescence, the psychological, social and emotional cost of masking becomes apparent. Aspiens are often only diagnosed in their adolescent years, if they are at all due, to their first nervous breakdown, when an eating disorder, identity issues, anxiety disorder, depression and/or traits of Borderline Personality Disorder become apparent. Years of pretending to be normal, constantly watching and analyzing their peer’s social behaviors, trying very hard to fit in, not make social faux pas, being a chameleon and wrestling with identity and self-esteem issues, takes it’s toll. Coupled with bullying, the enormous stress often causes an Aspien teenager to have a breakdown in their ability to function in day-to-day life. 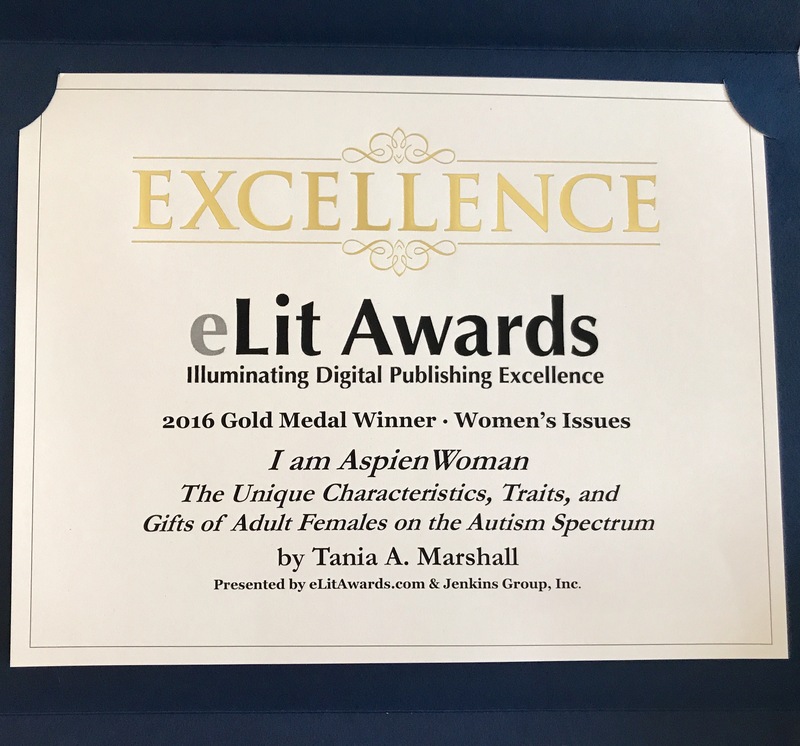 It may or may not be at that time that the Aspien is given an explanation for what she has felt and known all along – of why she is different – that she is, in fact, an AspienGIRL™. Tania Marshall©. 2013. All rights reserved. 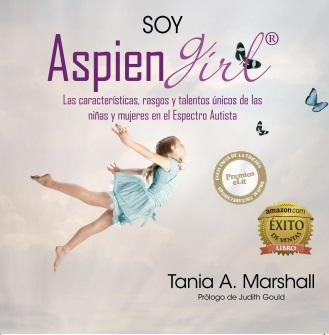 AspienGIRL™ Book Series, AspienGIRL™ and Planet Aspien™ are registered Trademarks. Duplication in whole or part is explicitly forbidden. Thank you. It has been said that the relationship between human beings and horses is one of the most ancient and mutually beneficial relationships between man and animal to ever exist on our planet. This has certainly proven true but especially so in the field of Therapeutic Riding. A famous saying among horse lovers and attributed to Sir Winston Churchill goes, “There is something about the outside of a horse that is good for the inside of man”. 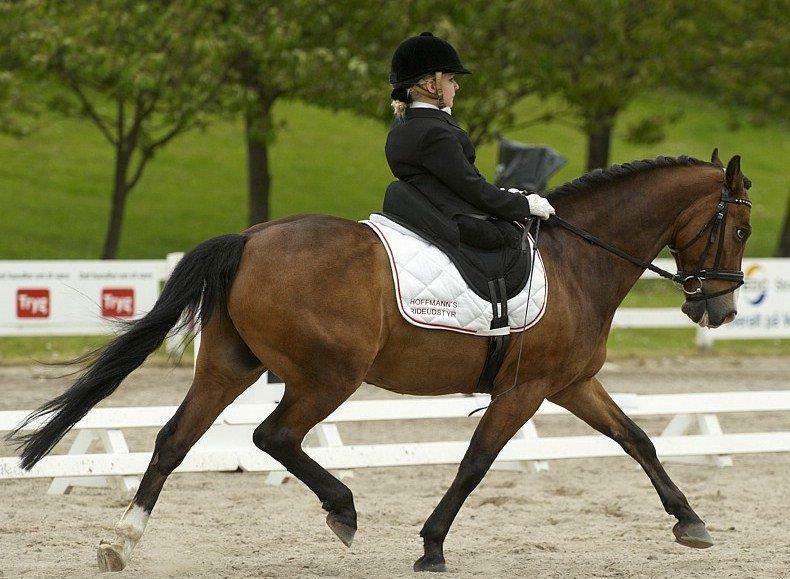 Most horses will typically put out special effort for riders with a disability. It is always exciting to see or hear of a child who couldn’t or wouldn’t talk make sounds and formulate words or speak for the very first time while on a horse. Riders develop physically, mentally and emotionally. The horse seems to bring out the very best in riders, lift their spirits and give them confidence. The horse seems to sense that there is a special person on them. It is also exciting to see a child who could barely hold their head up for a few moments when they begin a program at a Therapeutic Riding Centre, after some time actually sit up and rider for an entire lesson. Despite many years involved with riding internationally, I was still personally moved recently in witnessing a “first” in one of the aspects of my sport. This was at the World Equestrian Games in Kentucky where athletes with a physical disability competed for the first time as part of the regular event schedule. The games, which serve as the world championships for the eight disciplines of equestrian sport, were for the first time, held outside of Europe in the beautiful state of Kentucky which some refer to as “horse heaven”. I was privileged to accompany the Canadian Para-dressage team as a coach and was inspired by these remarkable athletes. Sixteen countries were represented. It was amazing to see so many athletes of different abilities competing. Many had overcome horrific accidents that have left them missing a limb or limbs. Others were born with Cerebral Palsy, Visual Impairment and different other conditions. 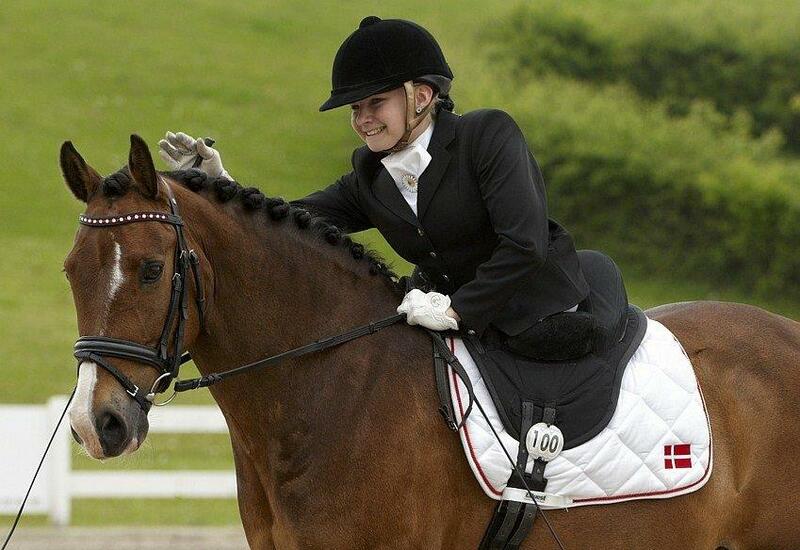 16-year-old Danish rider Stinna Tange Kaastrup, who was born without legs, particularly inspired me. I asked her how she became involved with riding. She mentioned that a friend who rode at a Therapeutic Riding Centre one day said: “Come and see me ride”. And for her that was it. 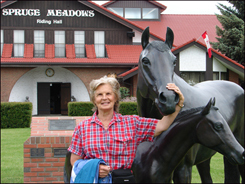 Her climb to fame began in a Therapeutic Riding Centre. She won a bronze medal for her country at such a young age. In her first competition at the Games her pony slipped, coming down onto its front knees. Stinna bravely stayed in the saddle without the support of her legs. She is not tied in the saddle at all, but rides by keeping herself well balanced. When her pony slipped the spectators gasped quietly in horror, but Stinna seemed only concerned that her pony had not hurt himself. She is a remarkable teenager. She told me, “Life isn’t over because you have lost a leg or an arm or if life has handed you some very difficult circumstance. You can continue being you, the unique person that you are, and most of all be happy in spite of what you face. I asked her what she would say to someone going thru a really tough time in his or her life. “Don’t ever give up. Keep trying and in the long run it will work out. You may feel you are stuck, but think of it as only a bump (or a ditch at times!) in the road. Every cloud has a silver lining if we can just persevere. It is an incredible service that Therapeutic Riding Centres offer in improving the lives of those brave souls who refuse to let their disabilities limit them. Therapeutic Riding, also known as Equine Assisted Therapy, uses the horse to achieve a variety of therapeutic aims, including cognitive, physical, social, educational and behavioral goals. One of the first studies on the value of riding as a therapy was reported in 1875 when a French physician used riding as a treatment for a variety of conditions. Therapeutic riding is practiced in some form now all around the world. It benefits individuals with all types of conditions including, Autism, Cerebral Palsy, Visual Impairment, Multiple Sclerosis, Emotional Disabilities, Brain Injuries, Amputations, Learning Disabilities, Spina Bifida, Attention Deficit Disorder and many others. It calms emotions and boosts the morale of children and adults and gives a positive self image, sense of responsibility and self-confidence – qualities that serve them well as they meet their challenges in life. With autism, horses have helped many children improve their speech and social skills as Equine Therapy offers a safe, secure environment . Children who rarely smiled are suddenly calmer and smile more readily and children who isolate themselves become more open. They will often make eye contact with the animal first and then with other people. Horses seem to be able to recognise when someone is really genuine and not just taking advantage of them and see in autistic children something that makes them trust the child and will often go out of their way to help. The rhythmic motion of riding a horse is very relaxing and as children focus on the movement, they themselves learn to focus better within themselves. With children, horses can act as a buffer to a child’s traumatic experience – helping children express emotions– resulting in more coping strategies and reducing posttraumatic stress reactions. I have the greatest admiration for Therapeutic Riding Centres who have the vision to see that working with those who need equine assistance helps them to obtain the maximum of their capabilities. What an awesome service to have a part in giving others an elevated quality of life.